I am Janneke de Graaf and I live in a small village in Overijssel, the Netherlands. 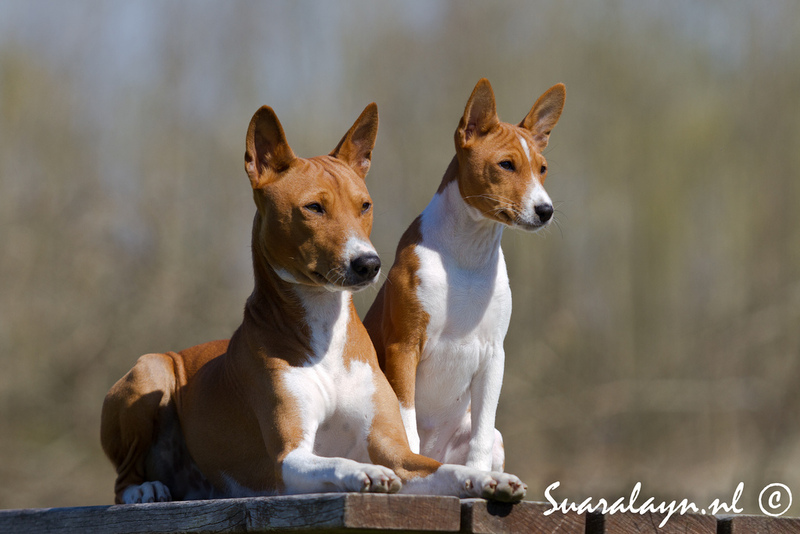 I have been interested in the Basenji for quite some time now, but it wasn’t until 2006 that I was able to add one to the family. I immediately started my search for the ‘perfect’ puppy and this search ended in a small town in Sweden. In the beginning of 2008 I picked up my baby boy Mirtillo at kennel Elegant Elephant. 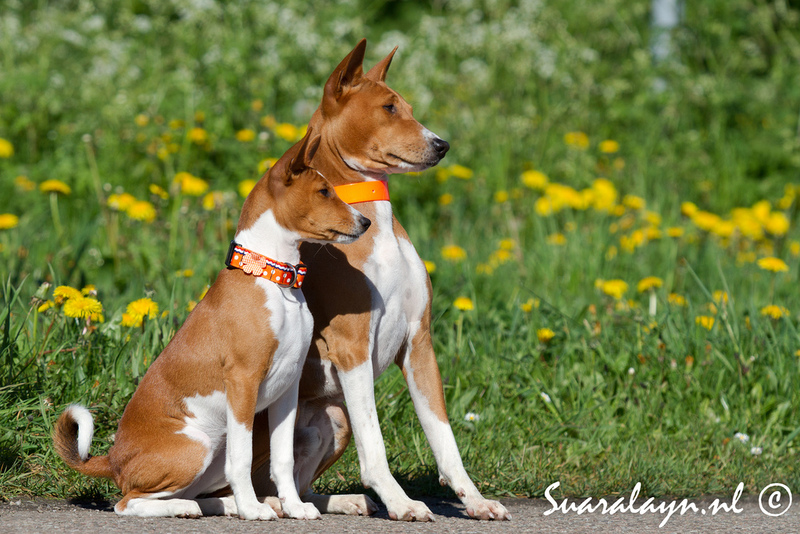 In our years together we have been active in obedience and we have frequently visited dog shows. 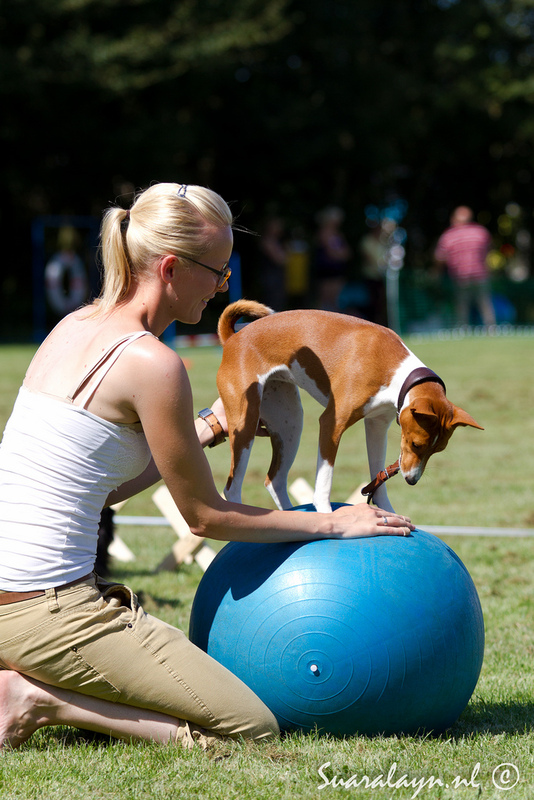 Now we are active in agility and in the summer months you can find us at the race track and coursing field. Although Mirtillo is too old for official competitions, he still thoroughly enjoys the training. In 2009 I took care of Lycia, a Basenji girl. 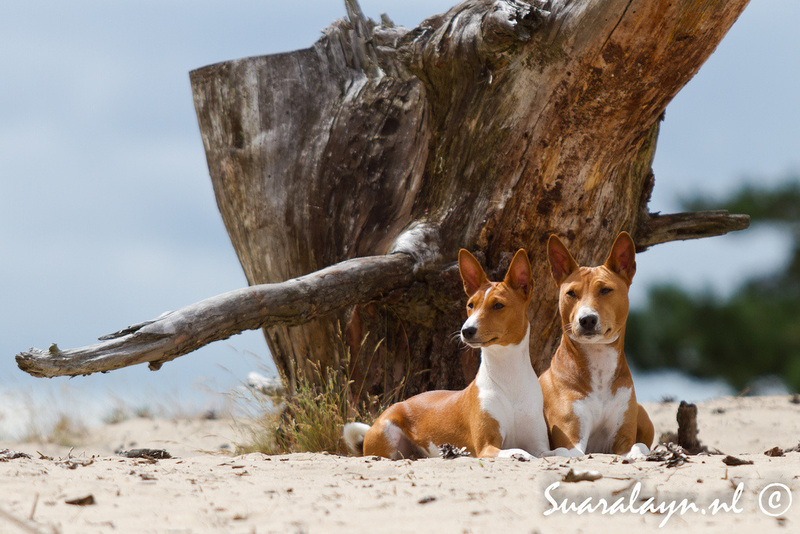 She was with me for eight months and convinced me of the fact that I needed to add a second Basenji to the family. Of course a girl this time. A new search began and finally, after a very long wait, pretty princess Aoide entered the family in March 2012! She is active in agility, in the show ring, on the race track and on the coursing field, all with great successes. 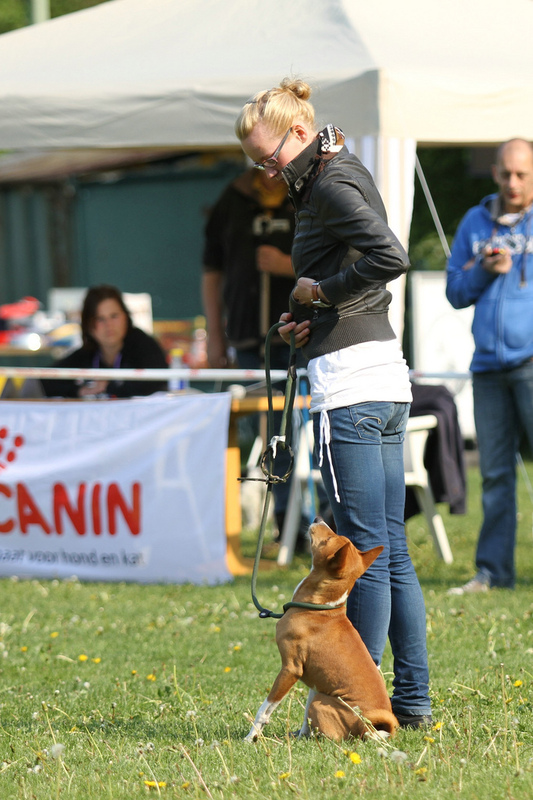 My kennel name was approved by the Dutch Kennel Club and the FCI in 2011. 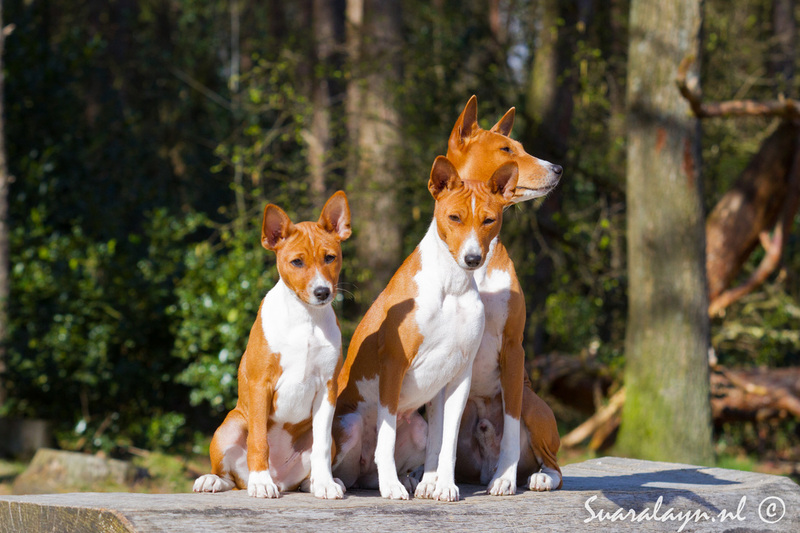 This was the first step towards a future in which I hope to breed beautiful, healthy and steady Basenji puppies. As a veterinarian I want to do this in a responsible manner, so I've been making preparations ever since the idea of breeding came to mind. Aoide's first litter was born at the beginning of 2015 and I decided to keep her daughter Maeva. Maeva is very talkative and just a joy to have around. Her father is an import from the Congo, now living in the USA, which makes her pedigree very special. Maeva became a mother herself at the end of 2017 and she did a wonderful job raising Suaralayn's second litter. The prefix “Suaralayn” comes from the Indonesian 'suara lain', which means something like 'another voice' or 'another sound'. 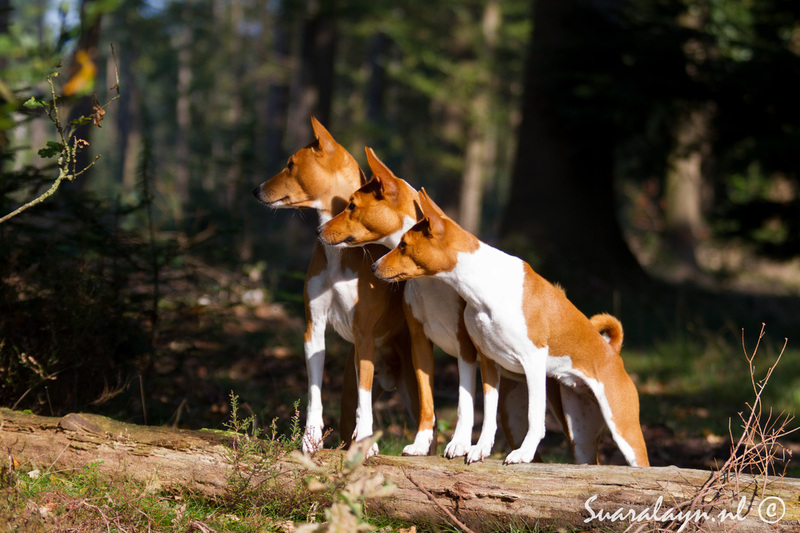 I think this fits the Basenji very well: the dog that doesn’t bark, but certainly isn’t mute! It also refers to the fact that we try to make different breeding choices than the mainstream. 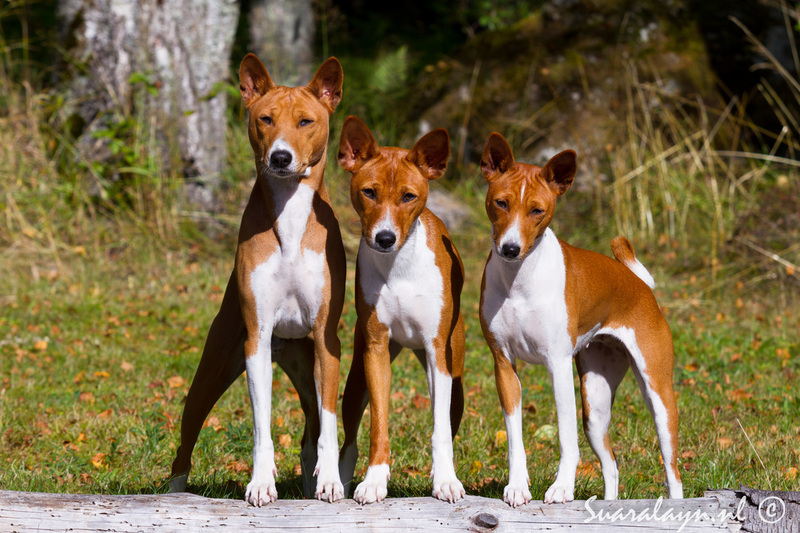 The Basenji is one of the few breeds with an open stud book, which makes it possible to still import, register and breed from completely unrelated specimens from Africa. The preservation of this special breed is important and the disadvantages of breeding within a small, closed population are extensively discussed in the literature. That is why we choose to give these special African imports a prominent place in the pedigrees of the dogs we breed. If you have any questions, please don’t hesitate to contact me. I am more than willing to answer your questions to my capability and I love to talk about 'my' beautiful breed. My contact information can be found here.